Hearing Vangelis discover the Horrors of the Tyler Perry movies is weird. This episode is fake. 500 was the final episode. Tyler Perrys Madea is like the Ernst movies of yesteryears. Plentiful, cheesy, light hearted, and hated by most. Regarding the listener question about a new gestalt team. I have an idea for an autobot team of Cryptid Creatues. The team would Consist of 5 members with an optional 6th. the first and core member would be a Plesiosaurus, the left leg a sasquatch, the right leg a dogman(werewolf), the right arm a chupacabra, the left arm a thunderbird, and the optional 6th member would be Cosmos. The only autobots who spot them are third-stringers like beachcomber and skids but none of the other autobots believe them. Cosmos refers to the team as his friends but nobody believes that there real or that he has friends. I would buy that combiner, but every picture I would take to post on social media would turn out blurry for some reason...?? The weird thing about Jupiter is I really like his axe being pegged together. That (unintentinoally?) turns it into a built-in upgrade mechanic that feels so gameish (not his game, but in general). I had so much fun, and it stole so much of Starscream's thunder he felt like a wet plop next to him. THAT BEING SAID, I am taking umbrage with you needing to point out High Moon isn't getting any money from this. For one thing, MMC has only been doing slightly more work with IDW's designs/sketches. For another, considering how Activision's actions, and now Hasbro reusing the series name on an unrelated toyline, A third party making toys in homage to the designs is the closest anyone's getting to a compliment. I am pretty excited for the Bandai Pacific Rim toys. I am one of the few that liked the Neca toys I guess (although that may be because I don't particularly care for Gypsy Danger, I fell in love with Cherno Alpha, Tacit Ronin, and the deluxe Kaiju). I'm hoping the Bandai figures look fine next to the Neca toys, my thinking is they're a little smaller because Yaeger tech has advanced and they are more efficient units and cleaner since they have better funding, maybe I'll add a paint wash once I have them in hand. It is funny though, Neca did condition me not to get Gypsy Avenger, he's the only one I haven't preordered, I think for some reason I am waiting for a $30 version later with a ton of accessories. Regarding Soundwave, Prime/RID2015 mostly mute Soundwave has superceded G1 Soundwave in my mind. I like the idea of a quiet efficient executor, someone who can just deliver and when he does speak there is so much weight to what he says. Edit: Looking at the reviews for the Diamond Selects Saber Athena it looks like the articulation will be similar to the Neca toys which may be disappointing for some. I think I might still try and get Diamond Selects Bracer Phoenix because that looks like it has the body structure for great articulation like Cherno Alpha did, and for some reason it looks like the one that will fit the best with my Neca figures. I'm fine having two of that guy kind of a before and after effect of the downsized tech. The thing I want the most is more Kaiju. 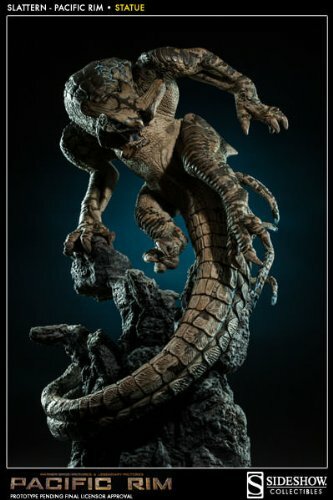 I would love if we ended up with some nice bandai figures for the missing Kaiju from the Neca collection I would be so happy. Looking at you: Raiju, Oni-baba, Slattern! I try to keep a similar attitude about MMC and Iron Factory's production of very IDW-centric stuff too - but I think for High Moon's work there's more of a sombre "also that studio as we knew it is dead & none of those people have artist alley tables at conventions where someone might hand them a toy" tone that leads me further down The Sorrowful Path™ of enjoyment. I never noticed how tiny Predaking's waist is until you pointed it out. Now I can't unsee it!!! No that wasn't changed. Oolong was scooping a wish at the last second, only thing on his mind at the time was better underwear. It was perfectly logical and lacked pervy intent (and they allowed FAR worse) so the joke held. The only alteration I specifically recall was poorly added in modesty coverings. Based on what was reported at Toy Fair, Novastar/Firestar IS Wave 4. Only the Deluxes are getting a 4th Wave and it'll be repacks along with her. Also based on leaked art, Inferno's torso moxe sadly just has Defensor's noggin with different colors. New combner team. All coral and other non-fish reef life. Incrustor---Brain Coral-Leader- forms the Gut and waist. Former Rock Lord. Inkticon--Octopus- Wise Guy- Forms the arms. Think the mastadon from mmpr. Penticron-- Starfish- Wizard and Alchemist- Forms chest plate and weapons. Mute. Conchulus--Conch- Weapons master- Leg- The \"funny\" one. Sea Dart--Skunk Shrimp- Poet, Philosopher- Only on the team because Conchulus--Conch- thought it would be funny. Is this a joke?!? hahaha!! !